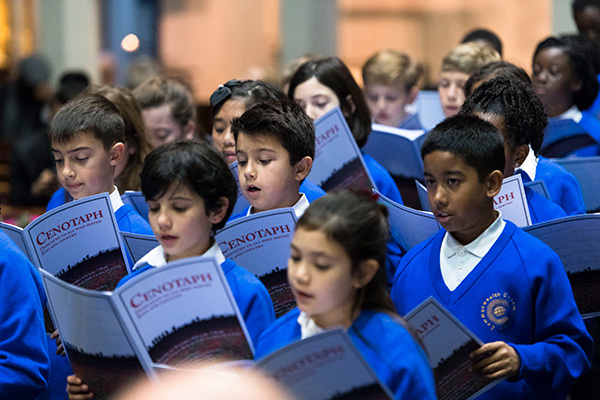 The Commonwealth Parliamentary Association (CPA) and the Commonwealth Youth Orchestra and Choir (CYO) hosted the Launch Event of Believe in Westminster in Commonwealth Week 2019. 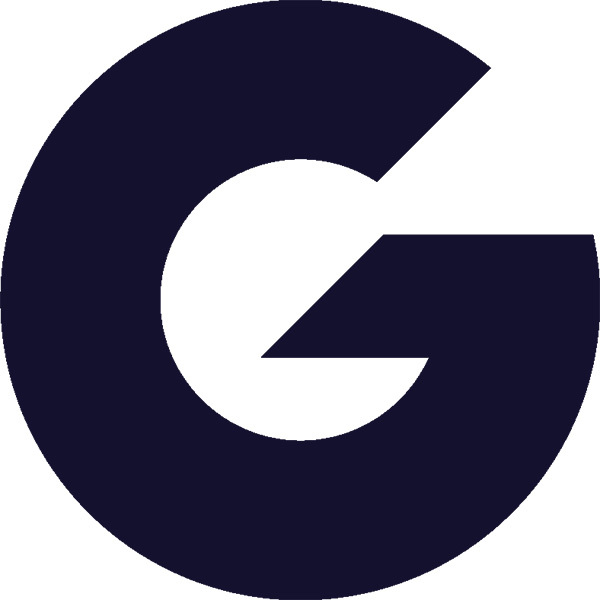 Believe was performed by 53 members of the Commonwealth Children’s Choir, with members of the Commonwealth Scholars’ Choir,Commonwealth Orchestra and Youth Orchestra, conducted by Simon Haw MBE. A new song, Believe, words and music by Simon Haw MBE, was world-premiered by 500 children of the Commonwealth Children’s Choir on Commonwealth Day 2019. Believe is dedicated to Her Majesty The Queen, Head of the Commonwealth, on the occasion of Commonwealth Day 2019 and the 70th anniversary of the establishment of The Commonwealth in 1949. Believe has been gifted by the composer to the children of The Commonwealth. Composed by Commonwealth Music Ambassador Simon Haw MBE. The CYO’s Commonwealth Scholars’ Choir and the Commonwealth Children’s Choir were honoured to be invited to perform with the State Ceremonial Musicians, the Coldstream Guards Band and the Countess of Wessex String Orchestra, in the world premiere of Cenotaph Requiem by Simon Haw MBE. 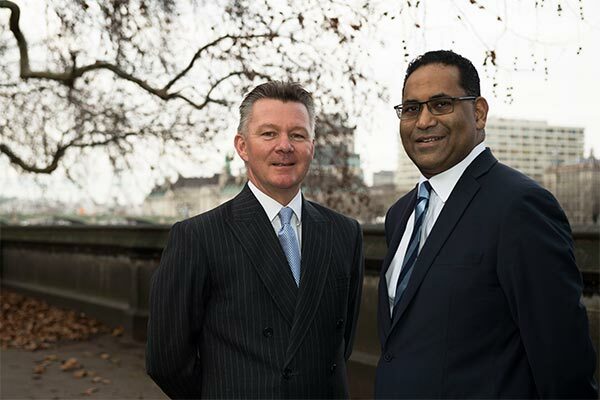 Akbar Khan, the Secretary-General of the Commonwealth Parliamentary Association and Simon Haw MBE, winner of the Commonwealth Music Competition 2016 at the launch in Westminster, London, UK. 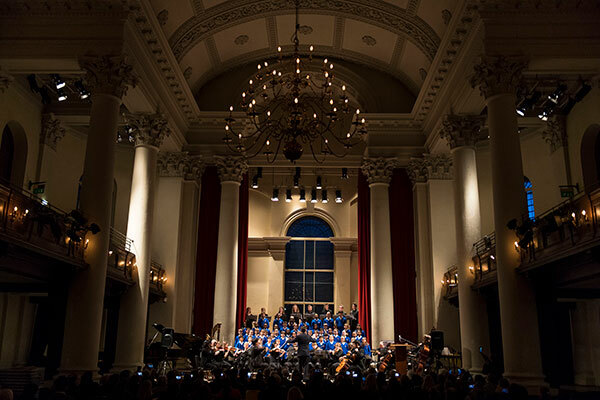 On Monday 10 December 2018, on the occasion of the 70th Anniversary of the Universal Declaration of Human Rights (UDHR) 1948, the Commonwealth Youth Orchestra and Choir, in collaboration with the Commonwealth Parliamentary Association, launched the Commonwealth Music Competition 2018 and the Commonwealth Children’s Choir Competition 2018. 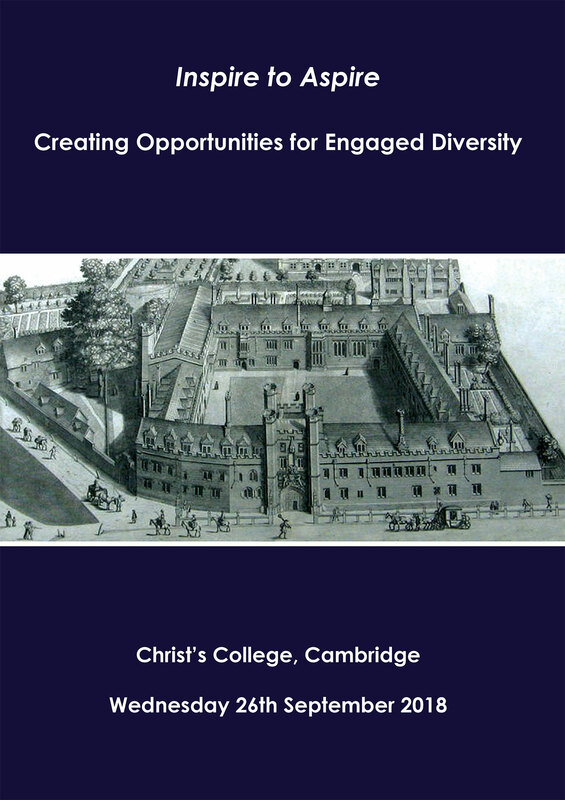 On Wednesday 26 September, by kind permission of The Master, Professor Jane Stapleton DCL and The Fellows of Christ’s College, Cambridge, the CYO held a special event as part of its programme Inspire to Aspire – Creating Opportunities for Engaged Diversity. On the occasion of Alderman Charles Bowman, The Lord Mayor of London, becoming President of the Commonwealth Youth Orchestra and Choir, a new composition, “A Song For The Lord Mayor of London” was composed by Composer-in-Residence, Paul Carroll, which has been dedicated to The Lord Mayor of London and The Lady Mayoress. 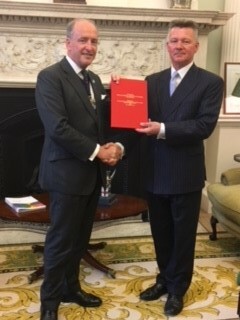 The bound score of the composition was presented to Alderman Charles Bowman, The Lord Mayor of London by Major Simon Haw MBE at Mansion House in the City of London in July 2018. To mark the occasion of the Commonwealth Heads of Government Meeting London 2018 the Commonwealth Youth Orchestra and Choir launched a third new recording. 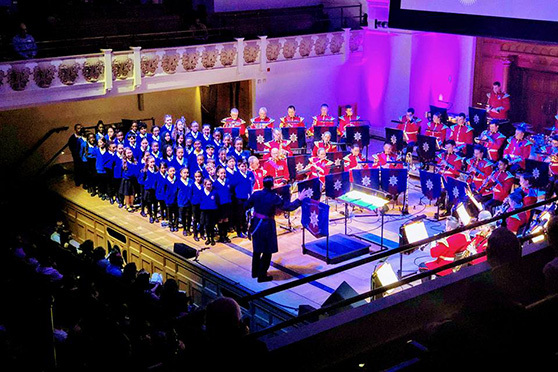 At Cadogan Hall, London, on Monday 23 April 2018, to mark the occasion of the 2018 Biennial Meeting of the Commonwealth Heads of Government in London, the Commonwealth Youth Orchestra and Choir launched the third CD of its trilogy of non-commercial recordings made with the ceremonial state Band of the Coldstream Guards conducted by Major Simon Haw MBE. This CD is called In Unity and it is dedicated to Prince Harry on his taking up his new role, on 16 April 2018, of Commonwealth Youth Ambassador. 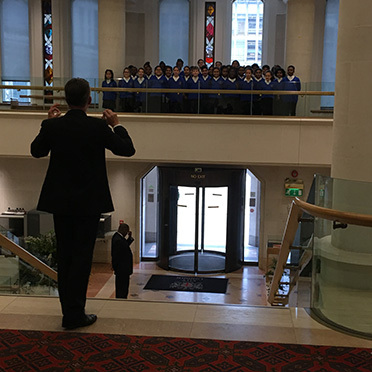 To launch In Unity, 53 members of the Commonwealth Children’s Choir sang “To Be A Friend” accompanied by the Band of the Coldstream Guards, conducted by Major Simon Haw MBE. This specially composed song, “To Be A Friend”, was performed at Buckingham Palace on Thursday 19 April 2018 to welcome the Commonwealth Heads of Government on their arrival at the Opening Ceremony of their Biennial Meeting, which was formally opened by Her Majesty The Queen, Head of The Commonwealth. 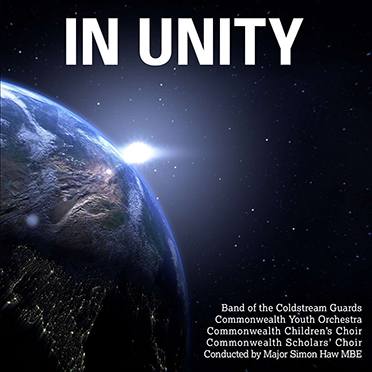 Also included on In Unity CD is a special orchestral and choral work, Earth Dance – A Commonwealth Cantata in Six Parts composed by Simon Haw, which was commissioned by the Commonwealth Youth Orchestra and Choir as a musical manifestation of the core values of the 21st century Commonwealth. 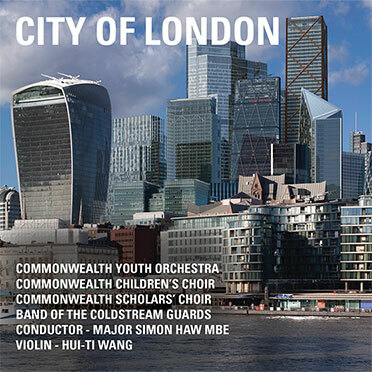 On 17 April 2018 the CYO released a special, non-commercial CD “City of London”, which has been produced with the support of The City of London Corporation. The CYO’s City of London CD was launched at a Banquet, which was hosted by the City of London Corporation, held on the occasion of the Commonwealth Heads of Government Meeting London 2018. 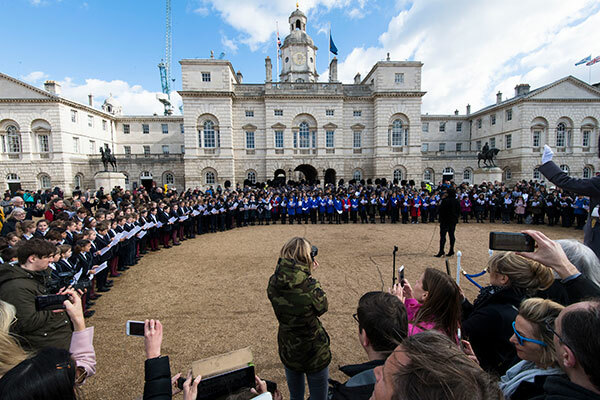 The Commonwealth Children’s Choir, conducted by Major Simon Haw MBE, performed “To Be A Friend” a special song written to welcome the Commonwealth Heads of Government to their meeting in London on 19 April 2018.